The EPC register is where all energy performance certificates are lodged once the EPC has been completed by an accredited domestic energy assessor. The EPC register also contains a database of all accredited domestic energy assessors. Who runs the EPC register? The EPC register is managed by the landmark trust on behalf of the government. How can you use the EPC register? You can use it to find accredited domestic energy assessors to carry out an energy inspection. You can also use it to search energy performance certificates on properties. You can search for energy performance certificates for any property either by searching for the address or the 24 digit report reference number (RRN). There used to be a cost associated with it but now it's free to perform searches and download epc's. Can you see the EPC for any property? You can see and even download energy performance certificates for any domestic property for free, so long as it has been lodged on the register. Can you opt out of the EPC register? If you have had an EPC carried out on your home then it should be in the register. However you can opt out so that people can't find the energy rating on your property. Your accredited domestic energy assessor submits your certificate to the EPC register. Can you use the EPC register to find an accredited domestic energy assessor to carry our an EPC on your property? Yes. You can do a search for accredited energy assessors in your area. It will also give you the name and contract details of that assessor as well as their registration status. 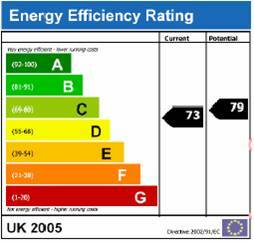 Does the EPC register accredit the energy assessors? No. An energy assessor must be accredited by one of the official accreditation companies. These accreditation schemes can differ. Examples include BRE, NHER, ECMK and there are more.. Copyright (C) Energy Key 2007. All rights reserved.